Killing time in Sydney the other week I went to the Kinokuniya bookshop for a hour. This has become an unexpected ritual for me. There is something about the store I like though I can't explain what - it is far from the intimate bookshop of cliche. I've been to the store in Singapore also, a vast space you could spend days in; and the store in KL to, in the Petronas tower. This time walking in I stopped at a table of so-called gay fiction - the gay mardi gras was days away. A few days before I had watched The Hours for the very first time and been impressed by it. Though greatly reviewed I hadn't ever considered reading the book. That changed after seeing the movie - and there it was. It seemed meant to be. I picked it up thinking that it didn't really fit my idea of 'gay' fiction, though it touches upon the subject. That wouldn't have stopped me reading it necessarily, my problem hitherto was that it seemed too feminine a book. That was my ignorance. The main characters are all women which makes for an emphasis that is vaguely feminine and sensitive, but the themes are universal. I wanted to read it. Beside it on the table was another book very much of the moment: A Single Man, by Christopher Isherwood. The movie adaptation of this was one of the best things I saw last year, so this too I collected and took to the counter. I am now reading The Hours after completing A Single Man. A Single Man was great. 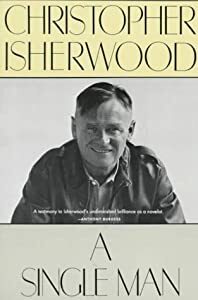 Gore Vidal described Isherwood as one of the great prose stylists, and there are passages and scenes in this small book that are beautiful to read and perfectly constructed. As you expect there is a depth and sensitivity to the story that magically made its way to the screen. George is a flesh and blood character easy to understand and identify with. You care for him. As his tale unfolds, as he goes about his business with fleeting thoughts across his mind, deeper reflections and occasional encounters with others, a life is revealed very true to what we know I think, and how we live no matter our desires. It is rich in experience and memory; it touches upon the poignant hopes and regrets all of us harbour. It is a beautiful book, but though the movie is very similar it is different in very key aspect. Right from the first moment of the screen version George has committed himself to ending his life at the end of the day. He has battled on since the death of Jim, but it seems a hollow, futile exercise. What he had won't come again; the peak has past, his moment come and gone. Why go on? And so we follow as he prepares solemnly for that end and goes about his daily rituals for the last time. Surprisingly that is an invention of the screenwriters. In the book George has no thought of doing himself in. He repines for Jim, he recalls constantly different moments of affection and happiness which make it to the screen. He is not unhappy in the book, but nor has his grief outworn him. He will go on even if existence is thinner, if meaning is less tangible. He is no automaton, but he will continue in the groove until his time is done. It's rare that I prefer the movie over the literary version. I think it is a great book, but the expedient used in the movie makes it more powerful. It is the medium perhaps that makes this little contrivance so effective. The clock is ticking, an understated urgency pervades the film as George goes about his life knowing as we do that these are his last moments, the final occasions. For this to be realistic George's grief must be deeper, more pervasive - or seem to be. I loved the book - to read is a different experience, and this is the work of a great writer. The movie is great also, perfectly wrought from the material and with the astute change which might not have worked so well on the page. Just for the record I've since bought Isherwood's Berlin Stories, some of which are the basis for the Bob Fosse movie Cabaret. I have since started The Hours and am about halfway through. It is expertly written. In sections it echoes Mrs Dalloway, which it mirrors in style. It is a dense reading experience, deeply felt, though it is perhaps a little over-written for my taste. It seems a harsh quibble. That's a subjective assessment, and it is meant to take on much of the dense style of Virginia Woolf. There is no question of how authentic it feels: this is how we live also. On a whim last night I settled down to watch an old movie I'd downloaded a few days before. The movie was Goodbye, Columbus. I'd been prompted to download as I'm reading another Phillip Roth story from that era, Portnoy's Complaint. I reckon I hadn't watched Goodbye, Columbus for over 20 years. In my memory it was the story of a slightly smart-arse Jewish man from working class background (a Roth staple from this period) meeting with and falling in love with the archetypical Jewish princess with the doting dad living in comfortable splendour. Naturally the relationship was doomed to failure, but in my memory I recalled it amusingly, focussing, I think, on the lustful possibilities of the union fully played out. I wonder about memory often. Movies and literature live beyond the moment if they are good. They are more than a few hours diversion, they become part of the thin fabric that wraps around you as you go about your daily life. They live in your memory even if they are submerged within it. They accrete to you like psuedo-experiences, so much so that I find it perfectly feasible that people occasionally wonder if the the things they remember are theirs or a figment of some unrecalled movie or book. I have occasionally believed that these movies transmogrify in our memory, but watching last night I had cause to re-consider that. I had distinct memories of Goodbye, Columbus that were represented in my mind by light and colours, and by moments within the movie. Watching it again much of it seemed different, the emphasis slightly shifted from what I remembered. The movie hadn't changed, and while it's easy to argue that my memory is playing tricks I don't think that's true. Rather I think it is two other influences at play. It's rare you remember anything complete. For whatever reason your memory is selective, it remembers scenes and moments, colours and light, while the rest fades away into a grey background. What you recall are generally the most vivid and personally compelling moments of the show. Without the scenes that link them though there is no real context, our memories are warped not by the magic of the mind, but rather by what we don't remember. The other critical difference is us, the viewer. Thinking back to when I last saw this movie the era it was set in - the late sixties - though unfamiliar to me would not have seemed as distant and removed as it does now. More particularly I was different. I was young. I would have looked upon this movie with an amused hunger, expecting that much that was portrayed on screen would some day soon be not dissimilar to the context of my own life. Watching again I remembered how I would have lusted after the Ali McGraw character, at her slinky, tanned, ivy league body and the sense of entitlement she so naturally assumed. That's an attractive challenge to any man, but particularly one young and hungry, ambitious for life and lustful for all the joys and pleasures of it. I was that man then, that boy. I watched that movie thinking well one day I'll do that, I'll live like that, one day I will take a big bite and chew hard. Watching again 30 years later much of what I imagined then has since come to pass in one way or another. I have lived fully, enjoyed many of those joys and pleasures as I once imagined. I hope much more of that is ahead of me, and I felt no less lust for Ali McGraw last night than I did 30 years ago, but it is not mystery anymore, not even expectation. I have taken one bite after after another, have chewed hard on the best and worst of life: I see then with different eyes. In a way then watching last night was like seeing it for the first time. I was effectively looking back with the benefit of my own experience, rather than looking forward with the lurid imagination of a teenager. I appreciated the art of the story more and appreciated the poignant truth of it that I overlooked before. For a man this is a classic coming of age story. For a woman viewing there is something more I think, the desire to please father and the often complex relationship that entails. In many ways it is cliched, the boy from the wrong side of the tracks falling for the princess. For a while it is golden between them, but the differences in background and the pressures of expectation and family drive them apart. The summer ends, winter comes, innocence is lost. Well, we all know that, but it is no less poignant for that. We all have those stories, those moments, those regrets. Watching I saw my own life within that perspective. A favourite Frank Sinatra song came to mind, A Very Good Year. Everytime I hear it I relate it back to my own life, those women along the way and the tales that go with them. Neil, the main character in the movie, is set at the end of it to take a similar journey. At the end of the movie I realised I had enjoyed it again. Roth is a great writer with a very particular worldview and wit. The movie is dated a little, more in style than content - it seems very much a sixties movie. The writing is good though, Ali McGraw gorgeous, Jack Klugman great as her father, and Richard Benjamin the perfect embodiment of the Rothean hero, smart, lustful, a little self-conscious, and ultimately worldly if not completely wise. With nothing on the box last night I watched a DVD I picked up on my travels through Asia last year. The DVD was Say Anything, a 'classic' of the late eighties I bought out of some kind of misty nostalgia. I probably hadn't seen it for 20 years, so it was interesting to watch it again after all this time. There was much in it that had me recalling my own youth. I may live in the here and now, but my formative years were the eighties. The fashion, the music, much of the attitude, ugly as much of it was, was also very familiar to me. Like it or lump it I lived a lot of that life. That accounts for much of the cult popularity of the movie. I don't know if they still make the teen movies of this ilk anymore. Back then it was a bit of an industry, led by John Hughes, but the likes of Cameron Crowe and others cut their teeth on this genre (Pretty in Pink, The Breakfast Club, Fast Times at Ridgemont High, The Sure Thing, Some Kind of Wonderful, Ferris Bueller's Day Off even the Porkies movies for God's sake). Is there any equivalent of this movie genre these days? Or has society moved on so that this genrre has been blurred and merged into a variety of genre's that encapsulates everything from Harry Potter to Twilight? Most of my generation would have a nostalgic memories of these movies because they were reflective of us at a particular point of time. That generation is now approaching middle age, is living in very different times and facing challenges only vaguely dreamt about back in the day. I watched last night with a combination of curiosity and impatience. Conditioned to the uber paced movies of today this felt slow. And though I identified as always with John Cusack - who is the everyman of my generation - I could not get into it as I did then. It was not foreign, but simply of another time and different stage of life. The hopes and romantic dreams of the times have been superceded by the realities of adulthood. What we watched once and saw as emblematic of our times and aspirations now appear as fond and slightly naive dreams tinged in sepia. That's life I guess, and no real surprise. We have moved on, times have changed, and the movies that were part of the fabric of our common youth are unknown to our teen equivalents today, ancient history in the world of the new millenium. I'm a hard marker. I don't believe in perfect scores - unlike some Olympic judges - and often find myself out of step with society when it comes to what's good and what's not. Popularity is not always a good measure of quality, besides, beauty as such is in the eye of the beholder. That might sound a little grim, but I love books and movies and much of popular art as a whole, and am an avid consumer of it. I find something to enjoy in most of it, it's just that with my critical eye very little measures up to the very highest standards we aspire to. With that qualification I've reviewed my favourite movies of the year. I've seen a few in the cinema, but much more on DVD. I've seen all manner of movies, from rom-coms to sci-fi, from action adventure to modest dramas. Out of all that there are only really three movies that stand out. The first of these is Up In The Air. I love George; George loves me. We have a companionable relationship based in part on his movies and much more on his persona. Sure, he's a cool dude that everyone loves, but he's also an intelligent and discerning man who makes, by and large, interesting role choices. Up In The Air is one of his best. He was born for the role seemingly, the genial but detached executive touring the country laying off people while polishing his motivational program and embarking on a disconnected and ill-fated romance. Ultimately it's his own demons he has to deal with, his own deeply buried issues that surface as times change abnd events overtake him. It's the 'voice' in this which is so good, and so George. The rootless and wry observer of life and human nature while squirelling away the handy tips for the inveterate traveller. It is a warm hearted movie that engages the viewer on different levels - as compadre to Ryan Bingham (George) in his journeys, as witnesses to the grief of those laid off and the bitter world they inhabit, and as fellow travellers in the artificial environment up in the air. It is a beautifully made, beautifully acted movie that takes you on a journey through the air and onto to the ground as Ryan negotiates through his own changing world and wrestles with his own unfamiliar hopes. It certainly worked for me. Very different is Inception. A lot of people loved this, and a lot didn't get it at all. Some, literally, didn't get it, couldn't follow the intricately plotted winding story, and so lost it. Me, I'm always going to love a movie like this if it's done well. I love stories that make me think, love particularly these enigmatic and otherwordly tales of things that aren't, but might be. I love Borges, and Escher fascinates me, and there are elements of both in this story. Watching it I felt caught up in the tale and racing along with it as it twisted this way and went back that. It was hugely creative and imaginative, with special effects and visuals to do it justice. It was that rare experience for me in that for a little over 2 hours I was taken out of myself and transported somewhere entirely different, a world of wondrous possibilities and fantastic mystery. What is true, and what isn't? It's a question that infuriates many; for me it is an enduring and fascinating conjecture. The third movie is different again. A Single Man is the most gorgeous of these films, and the movie that affected me most deeply. It is Tom Ford's first crack as a director and he shows talent and flair. Based on a novel by Christopher Isherwood this is a fantastically poignant and sensitive story of a man dealing with the enduring grief over the death of his lover. That they are gay is almost irrelevant. It's set in the course of a single day in the life of the grieving protagonist. At the beginning of the day he has resolved to do himself in. He has tried and failed to overcome the emptiness in his life after the death of his lover, and suicide seems the only reasonable solution. He prepares in his meticulous way and then through the day has a variety of encounters that illuminate different aspects of himself and his life. All this is beautifully presented, the lighting distinct, the scenes like artworks brought to life. At the centre of them is George, so beautifully played by Colin Firth (who has become one of my favourite actors). The movie flashes backwards and forwards as he ties up the loose ends of his life, the idyllic past, the pragmatic present. It is the delicate study of grief and enduring love. I know it's not a movie for everyone, yet I defy anyone to be unmoved by it. This is the real deal. This is just about the closest approximation of love in it's infinite detail I've yet seen on screen, the longing, the tenderness, the gentle and easy affection. In a way it's refreshing: this is what we aspire to after all, that depth of feeling that becomes new day after day. It exists after all, it can be. The movie ends on an ironically sad note, though there is also hope: love can come again. The journey through the last day of his life has taken him from grim acceptance to modest anticipation. It is about re-birth in a way, and infused me with a mix of emotions for hours later. I felt enriched by the viewing experience. In a way it validated my own reason for being: the object of life is to live deeply and true. They're the stand-outs. I saw other reasonable movies too, though none as good as these. The Hurt Locker, which won all the awards, I found to be good, but unremarkable. Perhaps I just wasn't in the right place for it. One of my favourite programs on the TV at the moment is Grand Designs Australia. I love architecture. Had I the sense then I probably would aimed to become one when I was a kid. I still have a passion, and find myself often admiring some house or building or even just some small and elegant feature - and probably more often decrying the same. I remember once I threatened to blow up a building I thought was desecrating a great position on Southbank - about 3 years later I worked there. Combined with a love of architecture is an indulgent streak a mile wide. Like a lot of people I love beautiful things. It is a great joy to see beauty married to function. The imagination runs wild. While Grand Designs caters to all that what I really like about it is the critical and expert eye cast upon these grand and often melodramatic projects. Peter Maddison is an architect with his own practice. He presents with the confidence and authority of a man who knows his stuff backwards, but he is also an urbane and sympathetic commentator on all the dramas surrounding these projects. I've seen two houses I loved in this series. The first was built in the spot where it's predecessor was burnt down on Black Saturday. In it's place was an imaginative and soulful building of rusted metal and reclaimed timbers nestling sympathetically within its bush setting. It was serene and, given the situation, heartwarming. This was the loop closed - and a beautiful home to boot. The other was a grand home overlooking the Hawkesbury river north of Sydney. Like most of these episodes there was an unfolding human story in parallel to the construction. This was the obesession of a man who ended up hocking everything to get the house done as he wanted it as the cost sky-rocketed. At the close of the episode it was uncertain if he could afford to keep the house - it was a beautiful and tasteful house though, and brilliantly located. While a program like this has you licking your chops and wishing for the budget to do this yourself, there are some caveats. My observation from the season so far: costs always run over budget (at a guess, by an average of about 20%). People always want more than what they really need (human nature). To my taste most of the houses have been over-scaled, unnecessarily so, sacrificing intimacy for size. I guess the last thing I would add is that there it takes a dose of megalomania to make this happen - these owner-builders are passionate and want it just right. They have a vision and nothing is going to stand in their way. Whatever happened to Ridley Scott? He's not everbody's favourite film-maker, but I reckon he's made some crackers, particularly early on. Alien is as good a sci-fi movie as you're ever going to see, Bladerunner, a cult movie in anyone's book, and the likes of Gladiator, Black Hawk Down, American Gangster are pretty good movies too. Once upon a time he was a director whose movies I looked forward to seeing. Other than Alien my favourite movie of his was his very first, The Duellists. 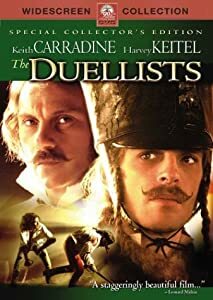 It's a great movie based upon a Joseph Conrad story about two officers in Napoleon's army who fight a series of duels over the span of 20 years in different countries and through the rise, fall, and temporary return of Napoleon. He was an inknown director at the time and he cast as his two leads a couple of less fashionable actors - Harvey Keitel and Keith Carradine - who proved very effective. 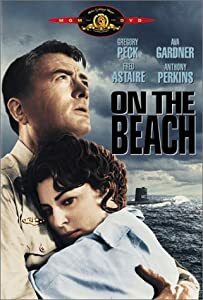 Though it was his first go-round as a big movie director the film had stylistic imprint of Scott - beautiful to look at, lovely composed scenes, rich attention to detail. In the years to come that was to become his hallmark, and what made his films so distinctive. I couldn't help but thinking of The Duellists as last night I watched Robin Hood, his latest movie. Somewhere in between he lost it big time. Though it looked lush The Duellists was a small movie by an untried director. It was, in a sense, a boutique movie, if not quite an art film. It had the broad sweep of Scott's work, but was held together by small parts and rich characters. None of this is evident in Robin Hood. Robin Hood stands in many ways as symbolic of his decline as a film-maker. It is both over-blown and bloated, and pretty shallow. A lot of Ridley Scott's stuff is borderline pretentious, but for the most part he has tread on the right side of the line. Not so in this case. The writer - Brian Helgeland - has done much better stuff. Quite aside from the blatant re-writing of legend and history - unacceptably so in my book - it is the fine sounding but meaningless rhetoric that had me groaning as if I was listening to an American presidential speech. Overlong, tedious and uninvolving is my final verdict on the movie. If I was giving it stars I might give it one and a half out of five. I'm dead-set certain too that the Ridley Scott of 30 years ago would have made a much different film of it, shorter, tighter, more compelling. I'm prepared to write this off. He's made some clunkers in recent years, yet I still think he has it in him to re-create the sort of compelling screen experience he has in the past. I hope so - he's now working on Alien 5, which is something to look forward to.